Drinking underage can harm more than just a few brain cells. It can ruin a teen’s chance of having a happy, successful life. Nobody wants that. So, why fall for peer pressure? 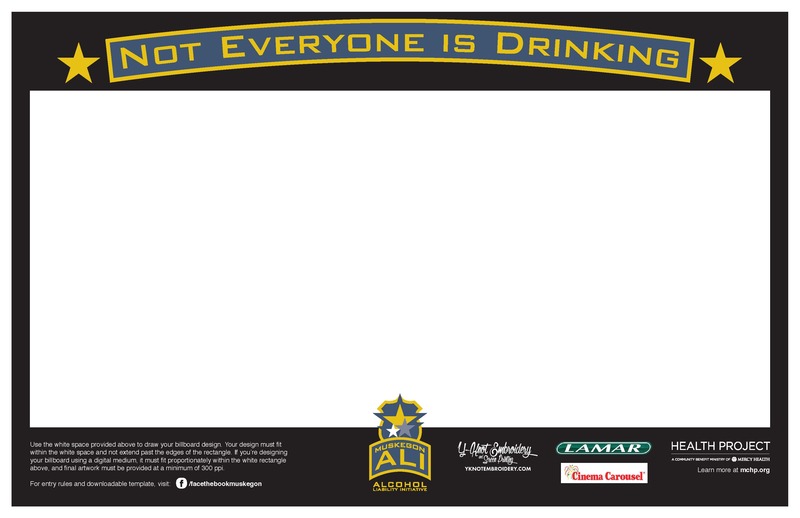 We’re the Muskegon Alcohol Liability Initiative (ALI), but you can just call us Muskegon ALI. 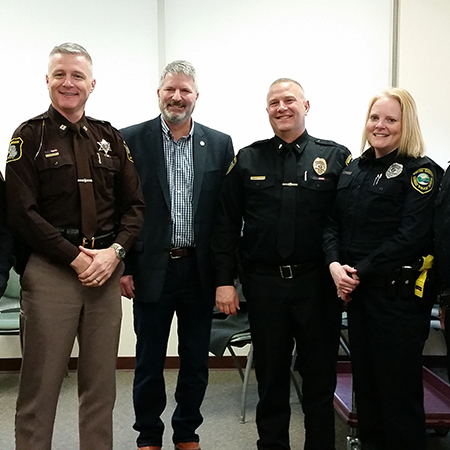 As a group of law enforcement officers and concerned citizens, our mission is to reduce underage drinking and alcohol-related injuries in Muskegon County. We believe that giving teens and parents the facts about drinking and encouraging constructive choices will lead to a happier, safer, and healthier community. 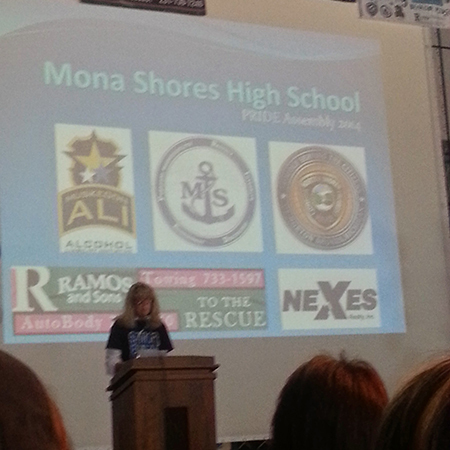 What are we doing to prevent underage drinking? 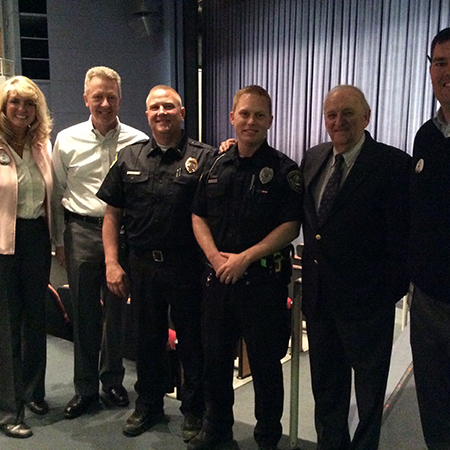 Educating parents and teens on the dangers of underage drinking is the first step to driving real change. 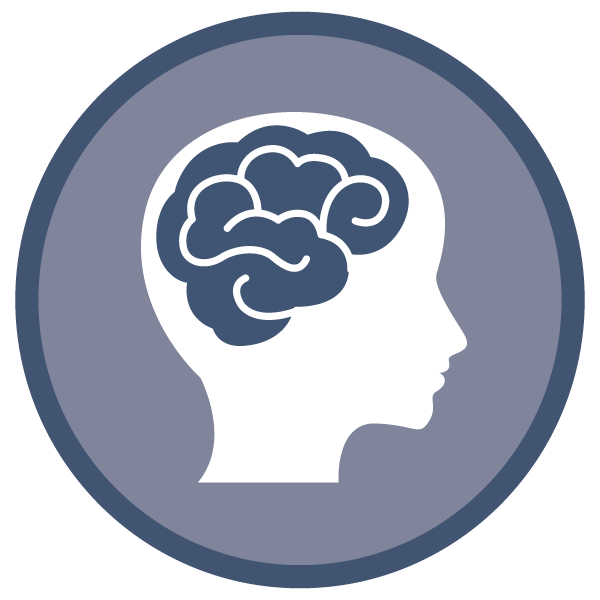 Our goal is to get the facts into the hands of teens and parents. Here’s what we’ve been doing lately. This teen-focused campaign is centered around debunking common myths about underage drinking and encouraging constructive choices. Using social media, collaboration with schools, contests, and more, we look to reach teens in a relatable and positive way. To help us spread our message, we give teens the chance to show what they can do by participating in a PSA contest. We take the winning video and share it with the entire community. It’s easy to make bad choices, so we want to reward teens who make good ones. 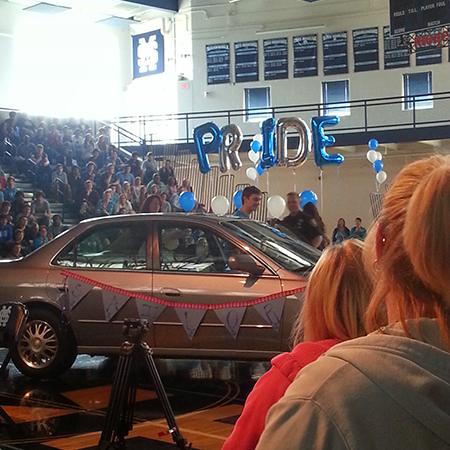 Each year, we encourage students to take the Ride with Pride Safe Driving and Positive Behavior Pledge, where teens promise to stay away from alcohol, get good grades, and stay sober behind the wheel for a chance to win a free car. It’s any kid's dream. 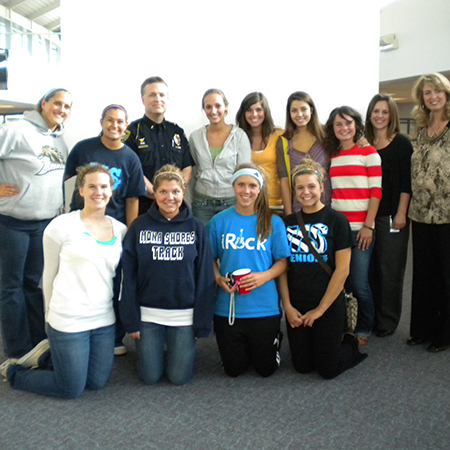 Throughout the year, we host various events for parents and teens to educate them on the facts of underage drinking. 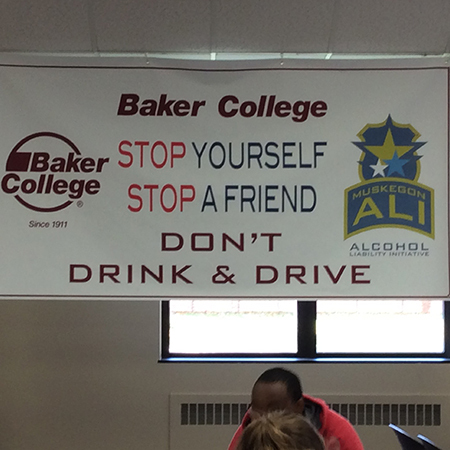 The 2015 Collegiate Alcohol Awareness Week took place at Muskegon Community College and Baker College to educate youth on the dangers of drunk driving and driving under the influence. 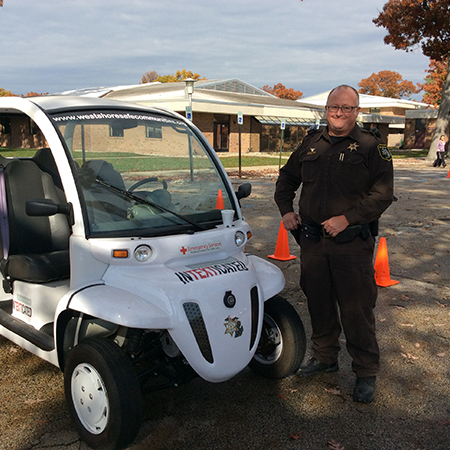 Over 200 students took advantage of the opportunity to drive a GEM car, operate a computerized Drunk Driving Simulator, and walk a white line that acts as a sobriety test, while wearing "drunk goggles" to simulate having alcohol in their system. 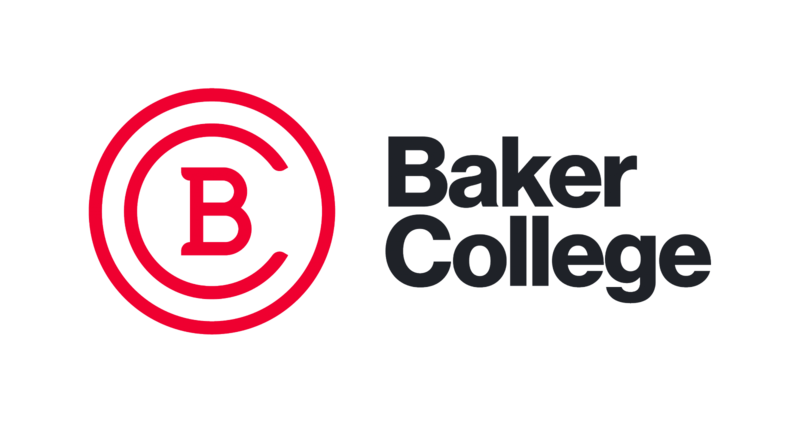 Thank you MCC and Baker College for having members of ALI (Alcohol Liability Initiative) present. 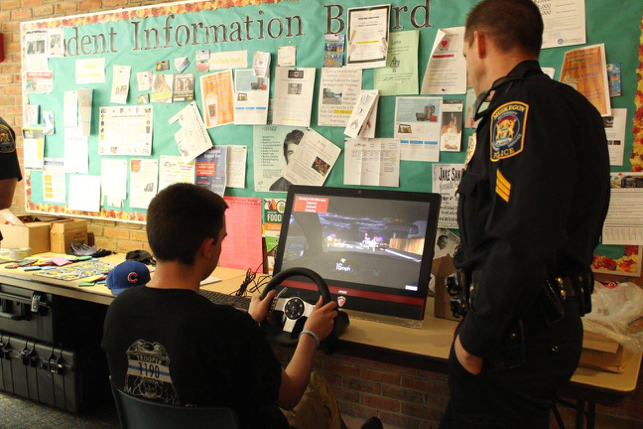 student at MCC how to operate the computerized Drunk Driving Simulator. 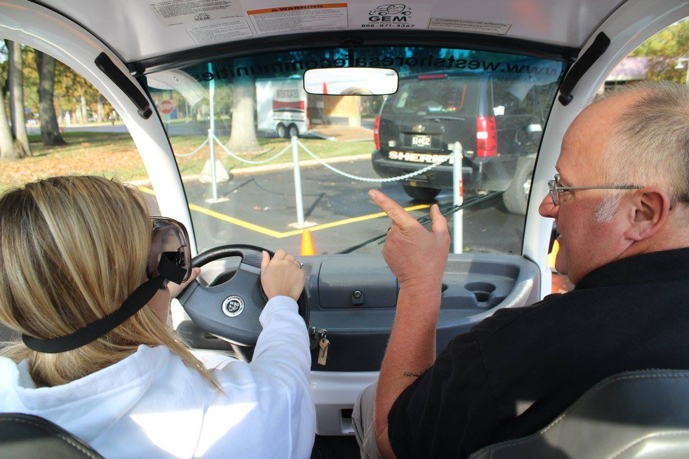 teaches a student at MCC how to drive the GEM car, wearing the drunk goggles. Working with the Lakeshore Chamber of Commerce's Silent Observer program, we give the community the chance to anonymously report parties where underage drinking may be occurring. By doing this, we can intervene and prevent possibly dangerous situations. 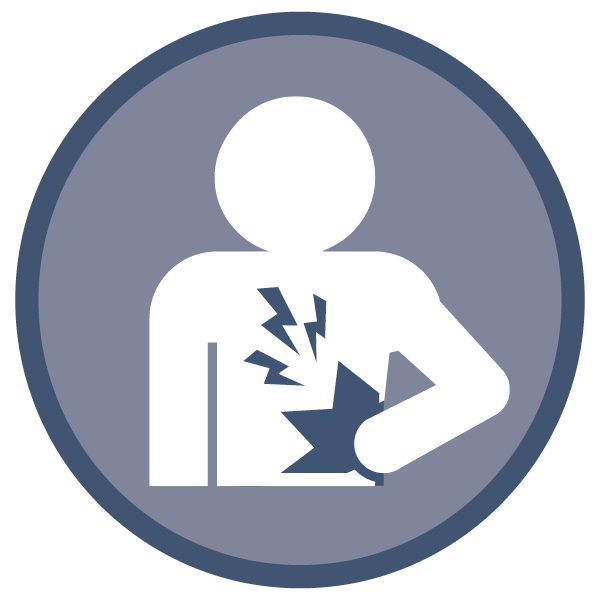 Many of those dangers include death, serious injury, alcohol poisoning, car accidents, and sexual assault. Not sure who to call to report a party? Call a tip into our hotline. Call 231-72-CRIME or text MKGTIP to 274637 to submit anonymous tips. Prom season is high-time for underage drinking. 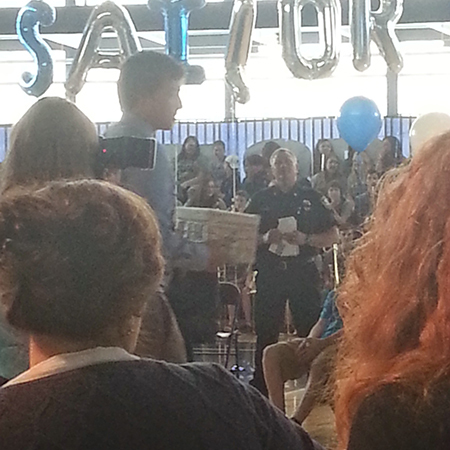 We help schools keep their students safe and make sure prom night is one to remember. 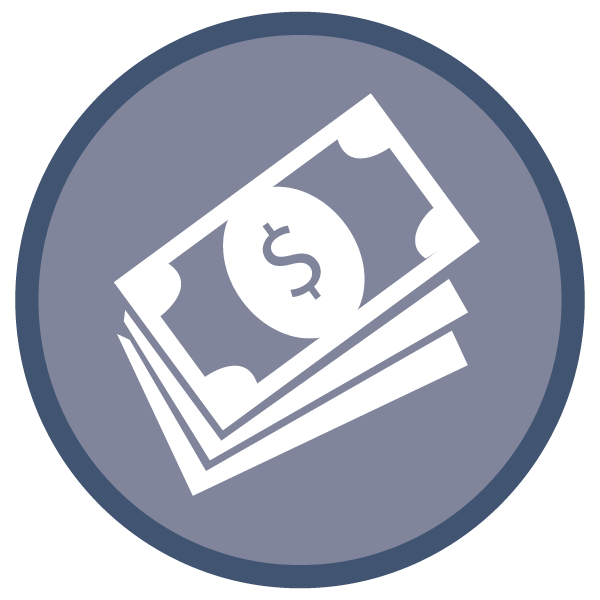 We work with local stores and restaurants to make sure they know the risks of selling to minors. 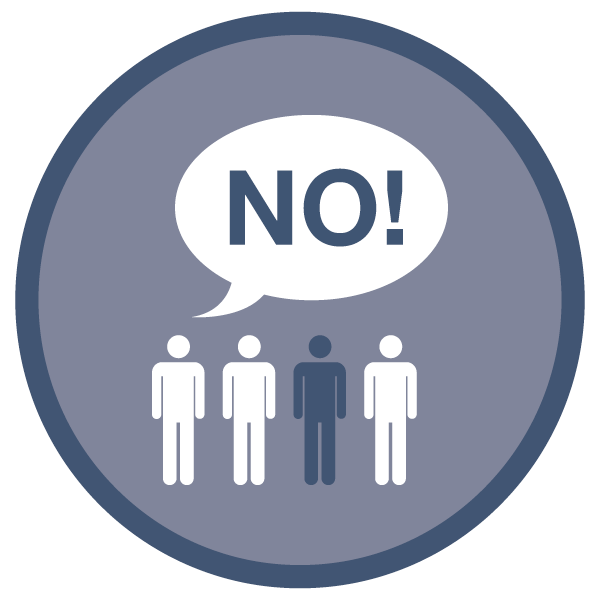 Together, we can encourage the community and our retailers to successfully train their employees to have the confidence to check drivers' licenses and to know when and how to say no. 75% of 12-20 year-olds have never used alcohol. You’re in good company. Underage drinking is a big deal. If you’re under 21, drinking alcohol is illegal. 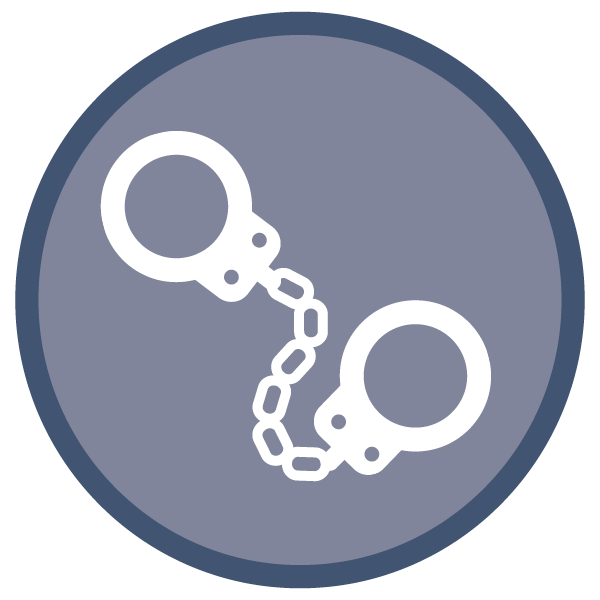 If caught, you could face fines, probation, and a criminal record. Underage drinking is responsible for 4,300 deaths a year. Don’t be one of them. Kids who drink before 15 are 5 times more likely to develop alcohol dependency. If you’re not 21, you can’t have it. Minors cannot possess alcohol. If it’s found in your room or car, you could face legal trouble. It’s cool to stay in school. Studies have shown teens who drink tend to have lower grades and higher dropout rates. 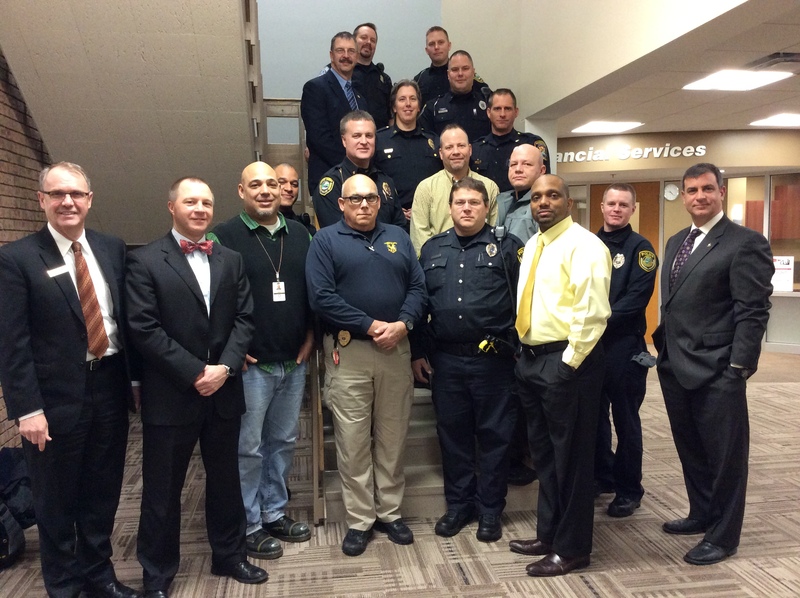 A certified police officer since 1991, and a certified corrections officer since 1992. 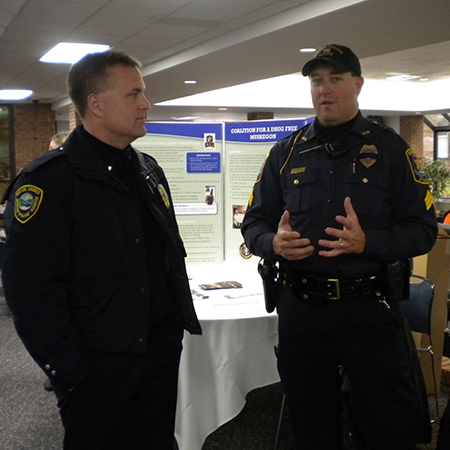 He graduated from Muskegon Community College, Grand Valley State University Police Academy and Northwestern University's School of Police Staff & Command. 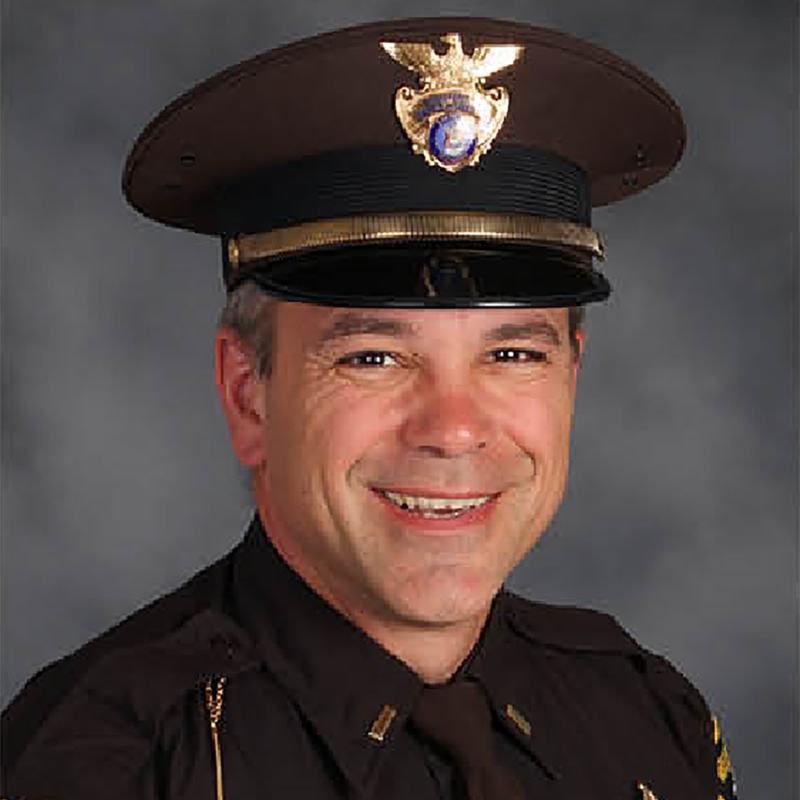 He has received 2 departmental citations for bravery, 2 Distinguished service awards from the Michigan Sheriffs Association, Police Officer of the Year award winner from the Police Officers Association of Michigan and a Medal of Honor award winner from the Michigan Association of Chiefs of Police. Currently holding the rank of Lieutenant of the Law Enforcement Uniformed Services Division, he has also served as a patrol officer, detective, and shift sergeant. 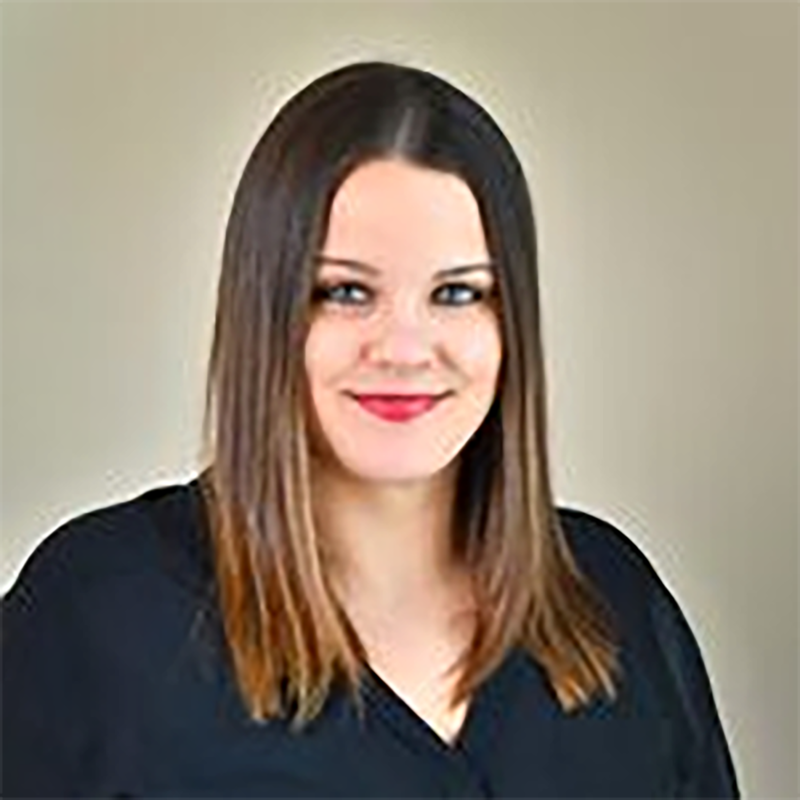 Sarah De La Rosa is a Case Manager with Mediation & Restorative Services and she facilitates Mediation & Restorative Services’ Substance Abuse Impact Panels for both juveniles and adults. 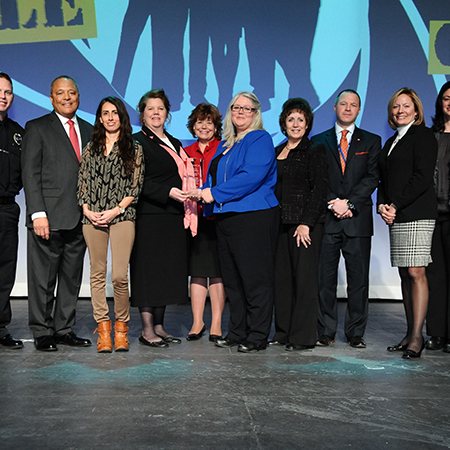 The panels use a restorative justice framework that asks for accountability for decisions, educates participants of the risks of alcohol and drug misuse, identifying the potential harm to themselves and the community, opportunities for repairing that harm, and assists youth and families in planning to make better decisions in the future. 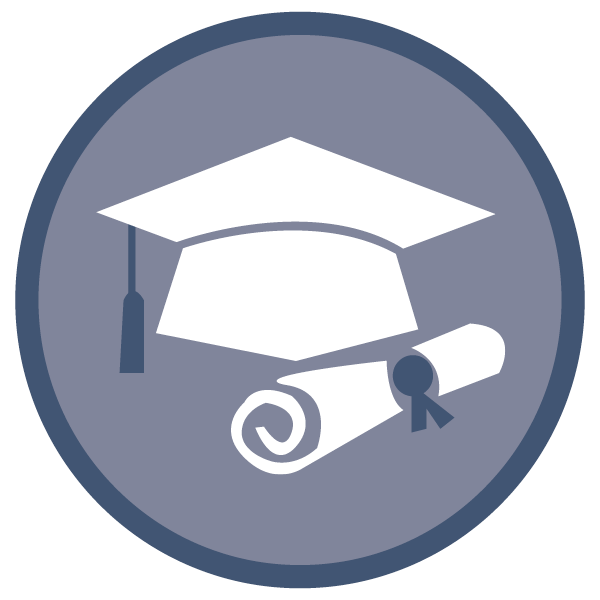 Sarah earned her Bachelor’s Degree in Human Services from Baker College of Muskegon. Prior to her working at Mediation & Restorative Services, she worked as a Youth Specialist at the Muskegon County Juvenile Transition Center where she worked with incarcerated youth. 1. Read the FaceTheBook: facethelaw brochure. 2. Select a fact from the brochure. 3. Design and create a billboard using a fact from the brochure on the electronic form template provided. 4. Each participating school will select their winning billboard to represent their school and must be submitted by noon on March 15, 2019. 5. Submit the final billboard to: rachel.mccoy@mercyhealth.com. · Posters will be put on Muskegon ALI’s Facethebook Facebook page on March 18th, 2019.
poster from FaceTheBook Facebook page: facebook.com/facethebookmuskegon/. Y-Knot Embroidery and their poster submission will be made into a banner for their school. The Grand Prize winner will receive a FREE pizza party at school for their class. · Billboards will be put on Muskegon ALI’s Facethebook Facebook page on March 18th, 2019. 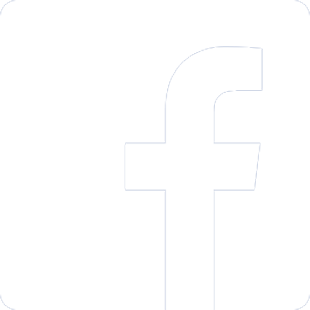 · You will have until March 29, 2019 to promote your school’s billboard on Facebook by sharing and liking the billboard from FaceTheBook Facebook page: facebook.com/facethebookmuskegon/. Y-Knot Embroidery and their billboard submission will be made into a banner for their school. The Grand Prize winner will win a chance to invite up to 10 of their friends to a FREE pizza party at the Cinema Carousel, and a showing of selected movie in theaters. The Grand Prize winner will also be recognized by displaying their artwork on a billboard located in Muskegon County courtesy of LAMAR Advertising. Click on the document below and print out to enter your design. Know the effects. Learn the facts. If you are over 21, do you ever enjoy a drink once in a while? Many of us do, often in social situations. Drinking can be a positive or negative experience, depending on your age, health status, and, of course, how much you drink. It is estimated that one in six US adults binge drinks about four times a month, consuming about eight drinks per binge. Among college students specifically, alcohol annually contributes to some 1,700 deaths, 599,000 injuries, and 97,000 cases of sexual assault. 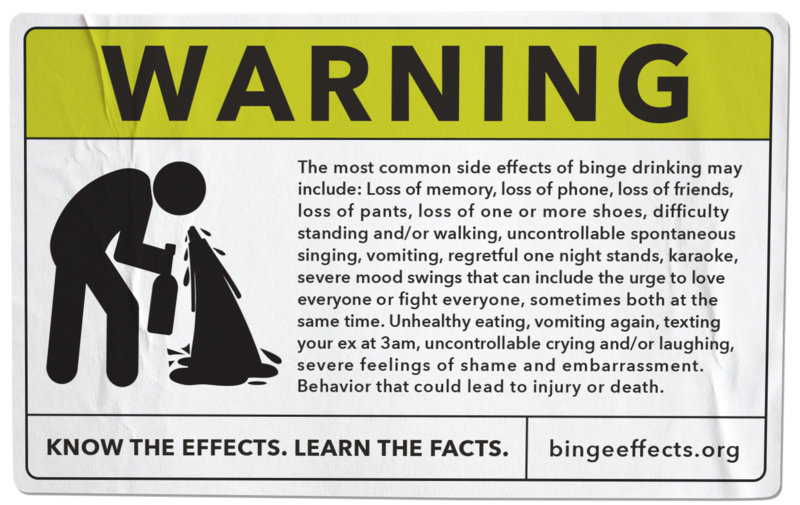 Knowing the facts, and understanding the effects of binge drinking can help keep you safe during your nights out. Want to learn more? Want to get involved?